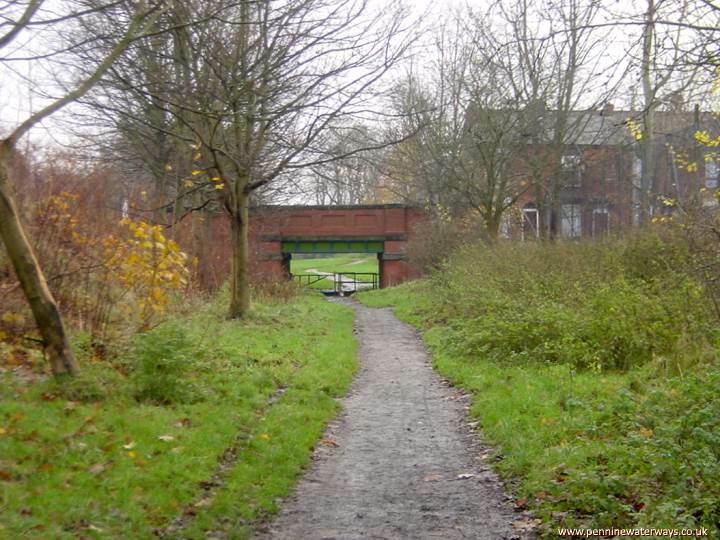 Just south of Crabcroft Bridge, is this bridge which carried the towpath across the entrance to a short arm that served the Ashton Canal Company's Gorton Maintenance Yard. The bridge was constructed in 1864. 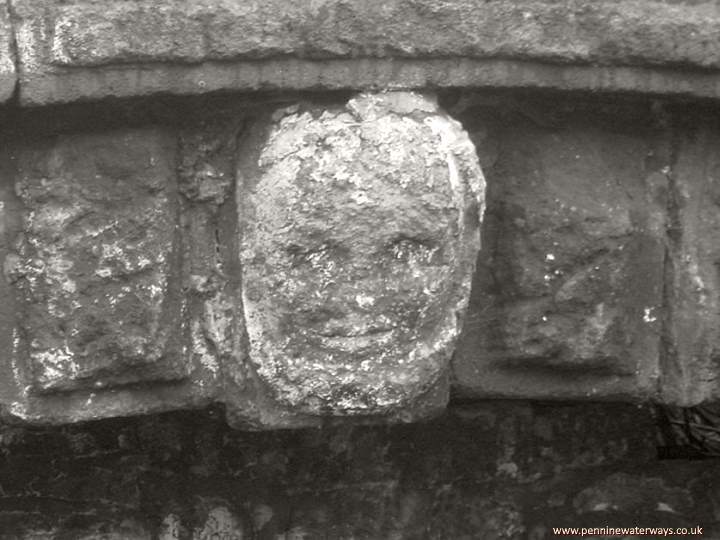 The keystone of the towpath bridge at Gorton Maintenance Yard has been carved into the shape of a face. The yard closed in 1962. 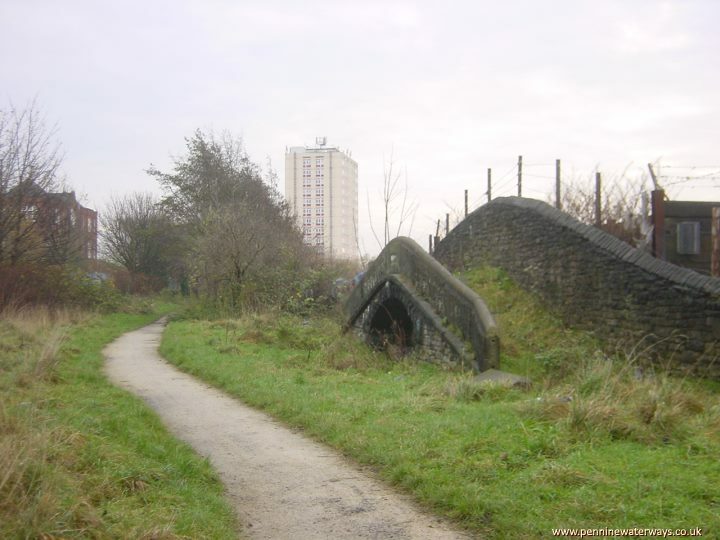 The canal crossed the Manchester to Sheffield railway over Gorton Aqueduct. 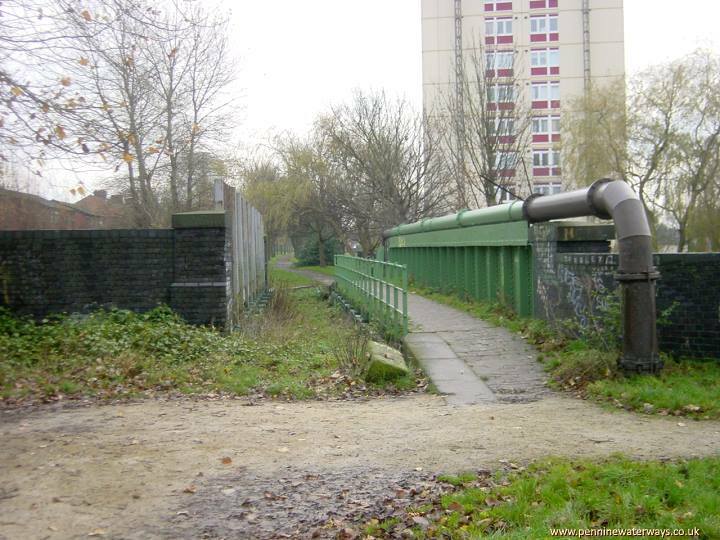 There was originally a substantial stone aqueduct here but, when the railway was widened to four tracks in 1905, this iron trough aqueduct was built to replace it. 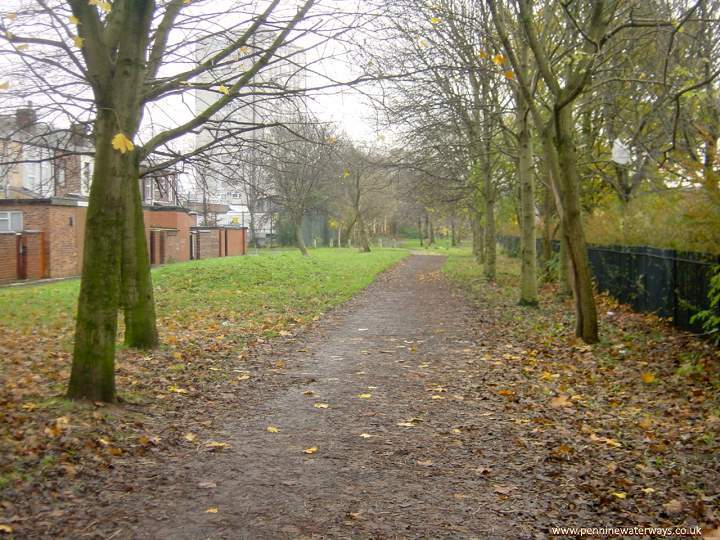 The canal route continues southwards with King George V Playing Field on the right and Longford Street on the left. 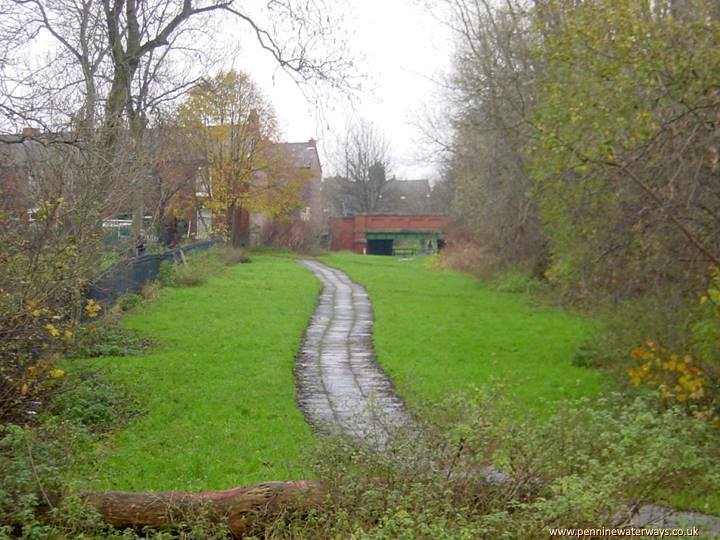 The canal ran past the houses of Ewan Street, Hollybush Street and Carberry Road. 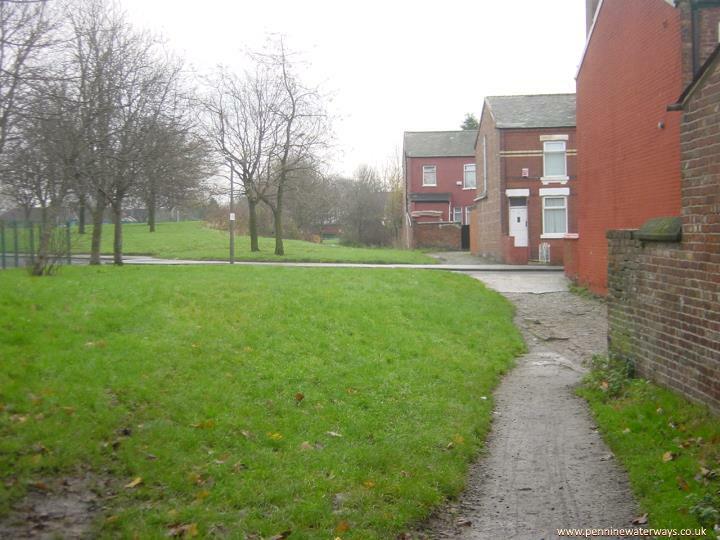 To the left is the site of the former Gorton Cotton Mill. Abbey Hey Bridge carries Abbey Hey Lane over the canal route. 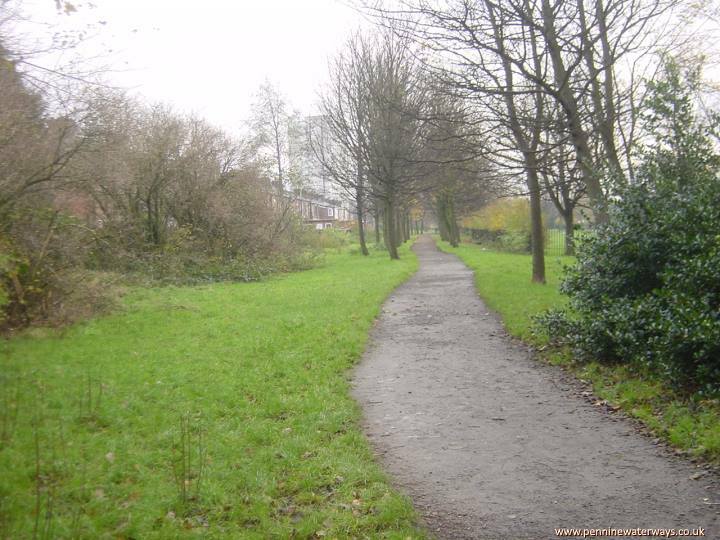 Looking back to Abbey Hey Bridge.